In the 1930s Short Bros, of Rochester, Kent developed the S.23 “C” Class Flying Boat for Imperial Airways and to support the Empire Airmail scheme whereby such mail was to be carried without surcharge.. Forty two were built , plus 3 larger G Class and the type was developed as the military Sunderland of which 750 were to be built. 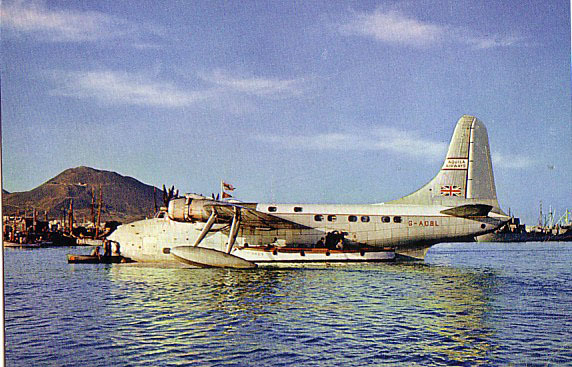 During WW2 some Sunderlands were already converted to civil use for BOAC and post-war BOAC resumed flying boat services with these and a more extensively re-worked version, the Sandringham. 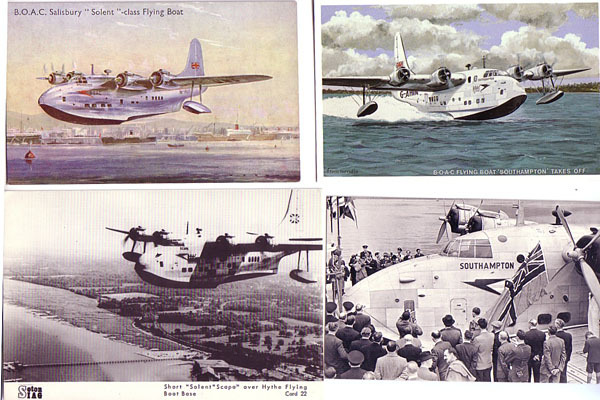 Meanwhile an improved military Sunderland had been produced, initially as the Sunderland IV but later renamed Seaford. With the end of WW2 these were surplus to requirement and a civil version was proposed to BOAC. These would have all the features inherited from the Empire boats, cabin seating for 30 passengers on two decks, promenade deck in the tail section, cocktail bar and dining saloon. Another copy of the same card has “City of London” inked on the face and also mailed in 1950 – this time from Victoria falls. . The back text here is “Lake Victoria to Victoria Falls, 1350 miles, …….flew over 2000 miles yesterday , 12 hours in all, from Alexandria to Khartoum ( terribly hot 108 in the shade) and from there to Port bell on Lake Victoria – just crossed thec equator and will soon be crossing Lake Tanganyika. These aircraft are wonderfully comfortable with an upper and lower deck, small promenade deck and splendidly appointed dressing rooms – the meals are excellent and beautifully served” . City of London was actually the first of the second Belfast-built batch of 6 Solent Mk 3’s (G-AKNO/U) redirected to BOAC from RAF Seafords. They carried 39 passengers and had two extra windows near the tail. The interior arrangements talked about are shown in one the BOAC set of cutaway cards published in 1947. This Solent has bogus markings G-?REN and is shown over an unidentified port with a wide river and ocean going ships – could be Alexandria or maybe Basra. Unlike the cutaway, the next Solent port-of-call can be identified. 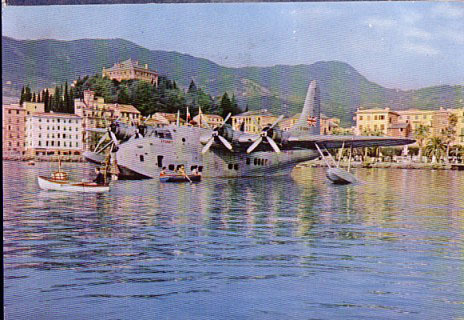 One is shown alongside a Hythe Class Sunderland at the BOAC terminal at Augusta, Sicily. Real photo card by local photographer Guiseppe Bottino. This Salmon artist card has “Salisbury” G-AHIL at a fanciful port , and like some other Salmon cards gets the colours wrong with a red Speedbird logo. With it is a more recent artist card by Frank Burridge for Dalkeith with G-AHIN Southampton and a Nostalgia series text-back reprint with the same being named at the same time as the opening of its new base at Southampton. The fourth in this set is another retro card G-AHIS Scapa over its base at Hythe, opposite Southampton docks, published by Southampton University Industrial Archaeology group. 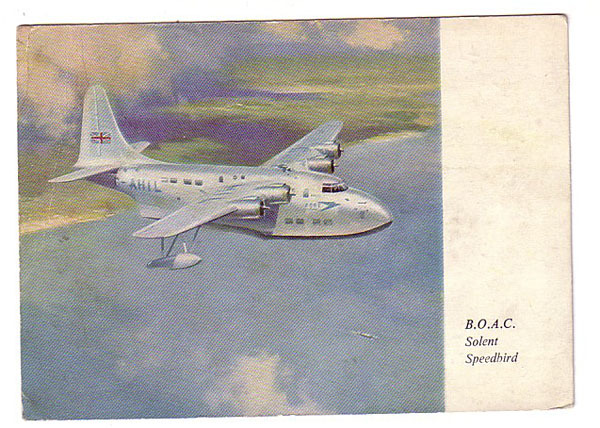 Next, two high quality BOAC Solent cards. G-AHIY Southsea off its Hythe base by local photographer EWM & Sons No. 79. G-AHIN Southampton on the Zambesi at Lake Victoria. Another local photographer Victor Clark. Like the other examples this too was mailed in 1950 but, unusually, to Prague Czechoslovakia. Although all the references here have been to the Africa route , the BOAC Solents also operated to Karachi from 1949. 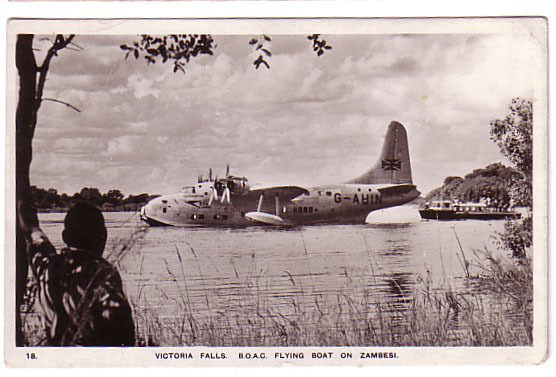 Another African service terminated at lake Naivasha, Kenya for Nairobi and, surprisingly for those associating flying boats associated with low, slow, leaisurely flight, cut the time from 48 to 27 ½ hours when replacing York landplanes. 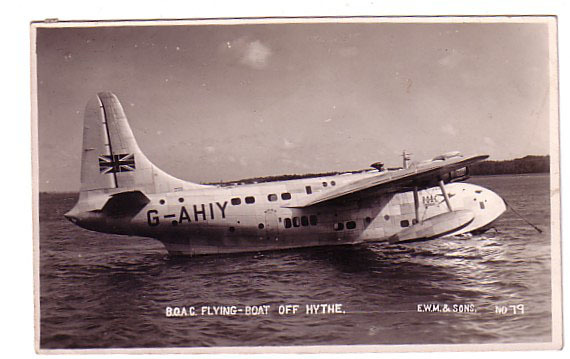 Despite all the above, all BOAC flying boat operations ceased in November 1950 and all the remaining G-AHI Solents except HIN were scrapped (G-AHIX was written off after a heavy landing in a gale at Southampton, Feb 1950 – no casualties). 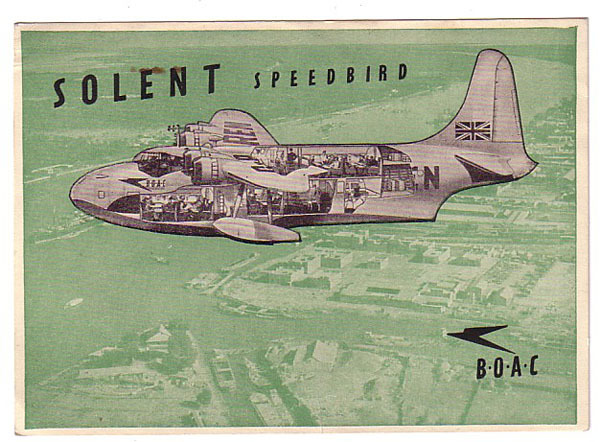 Solent operations however did not end with BOAC. Breakfast was fresh & preserved fruit, cornflakes, eggs bacon tomatoes, bread and scones with preserves, tea & coffee. The writer said “It was one similar to this that we came on . 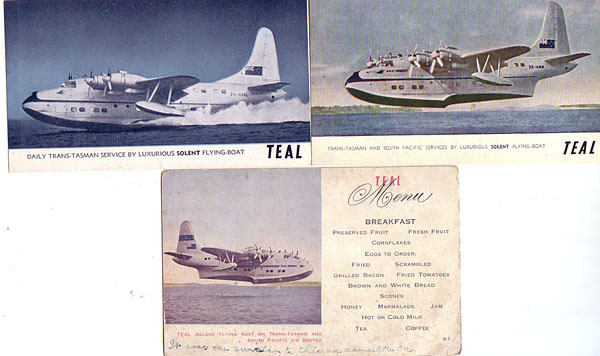 I like travelling on the flying boats better than the ordinary planes, they sort of give you a greater sense of security” But they also wrote “ Don’t like new Zealand as much as Australia but it’s a bit soon to form a real opinion” The TEAL were largely replaced by DC-6s in 1954 but ZK-AMO continued in South Pacific Service until 1960 , outliving –AML and –AMN which returned to the UK for service with Aquila Airways to which we now turn to complete the Solent story. Aquila Airways had been founded in 1948 to operate services with ex-BOAC Hythe class Sunderlands. When the Solents became available they acquired G-AKNU Sydney in 1951 and added the prototype Seaford which they converted to G-ANAJ in 1954. . Finally they added the two from TEAL in 1954 as G-ANYI and G-AOBL and reactivated the Ex BOAC G-AHIN By the time of the Solents’ arrival Aquila services had settled into a pattern of operations from Southampton to Madeira and Las Palmas and to Genoa. All known cards of Aquila Solents relate to these ports. One Aquila card is definitely company issue but, although it claims to be G-AKNU, the large letter registration was obsolete before Aquila bought it - and it also lacks the extra windows, so it appears to be an edit of a G-AHI- picture from BOAC. 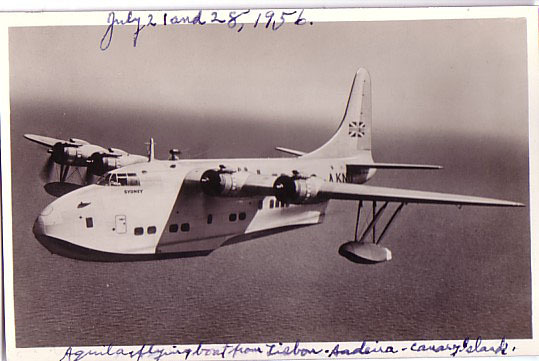 This one is not mailed but an inked note refers to out and back Madeira flights on July 2 and 28 1956. 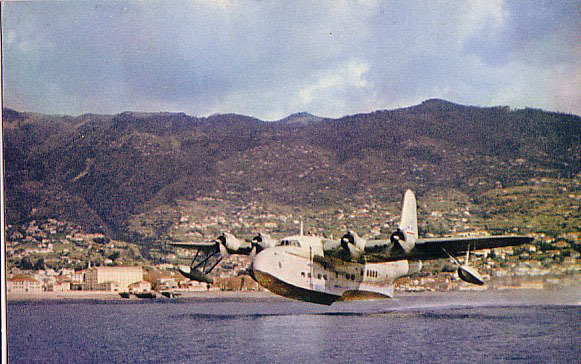 The real Sydney features on another plain back possibly company card which has the same image as this one at Madeira by Foto Perestrellso – mailed April 1955 from Funchal, Madeira “owing to strong headwinds we had to come down at Lisbon to refuel and for breakfast, but quite a comfortable journey”. 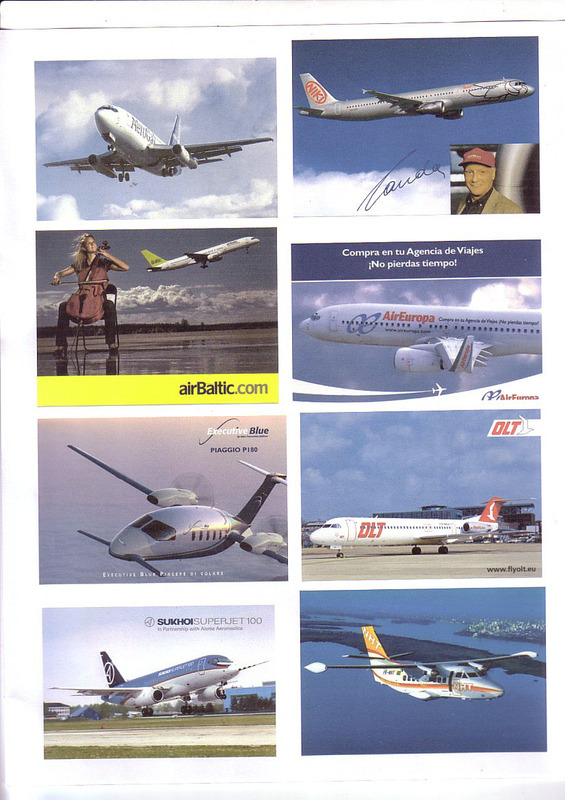 The same company also pictured G-ANAJ at the same location – right. 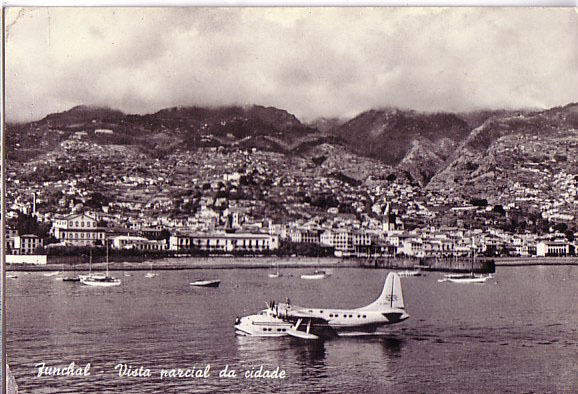 UK publisher Dixon published two cards of Aquila Solents – the first MDR22 is another of Sydney at Funchal – a copy has been seen mailed at Genoa so it is possibly that these were airline-used. The second AV.1 is rarer on two counts – it is Ex tasman G-AOBL and it is viewed at Las Palmas, to which this aircraft commenced direct service in Jan 1956. The other Ex Tasman G-ANYI is featured on this further Funchal card – anonymous but in the style of Italian publishers and mailed to Italy. By the mid 50s Aquila services were in decline and, after G-AKNU crashed on the Isle of White in Nov 1957 with no survivors after an engine failure on take off, operations were closed down at the end of the 1958 .season. The remaining Aquila Solents were flown to Lisbon and abandoned. Two Solents survive in Museums, one ex TEAL at Auckland and one at Oakland, CA USA. The latter is ex BOAC G-AKNP, Australian Trans Oceanic VH-TOB and finally N9946F. 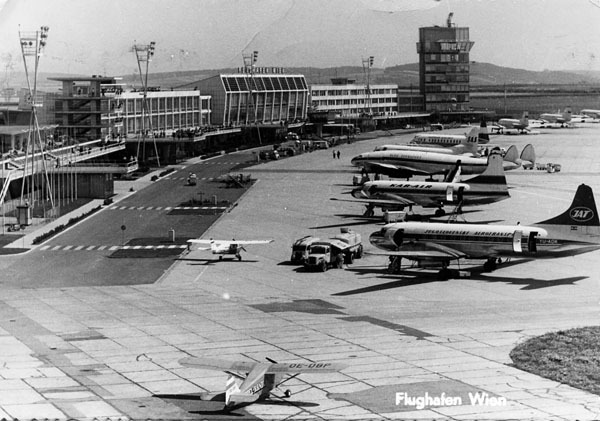 It was a busy time at Wien’s Schwechat airport when the picture which generated this photo-card was taken.... the Austrian capital airport was renowned for having a considerable quantity of anonymous photo-cards, produced to be sold by shops inside the terminal. Also just photo prints sold as post-cards. This one has no further information but 12053 numerical code on the back Noticeable on the apron is JAT Convair 440 YU-ADK, delivered in September, 1957. Immediately behind a similar model, in the colours of Kar-Air. This Finnish air carrier had two from end of 1957 through to the early 70s. Third in the row is a Lockheed 049 with Aero-Transport titles. It was the largest type operated by this Austrian carrier, set up at the beginning of 1958 under a cooperative agreement with already established LTU from Germany. Operations to European holiday destinations started in late Spring of that same year with a couple of Vickers Vikings. Upon market consolidation, Aero-Transport entered long-distance markets and an ex TWA Constellation – registered OE-IFA – was duly bought, and delivered in June 1961. The four-props airliner started medium-range flights within the Mediterranean basin, Moreover it was the first ever Austrian plane to land both in New York and Tokyo (in July). Such operations were successful and two more Connies (both 749As, the first in 1962, and a freighter version in the following year) joined the fleet while Vikings were phased-out. As general economic conditions in Austria quickly improved, Aero-Transport got involved in more long-distance flights: in 1962 there were two more “first landings”, Hong Kong and Nairobi. But use for dubious covert operations led to collapse. in November 1963 a 749A was blocked by Djibouti airport (at that time still a French territory) authorities for alleged gun-running; After being released, it was once more seized in 1964 at Amsterdam/Schiphol airport for non payment of landing and handling fees. It was broken up in 1966. In parallel, OE-IFA was impounded at Wien airport in Spring, 1964 for non payment of landing fees and scrapped in 1966 too. The freighter plane escaped the dump and was sold in Luxembourg in mid-1964, but a bad accident in Addis Ababa a few weeks later resulted in the total loss of the aircraft. 1 - Located in Northwestern Italy, the city of Turin is known worldwide for FIAT headquarters, their main factories and products. 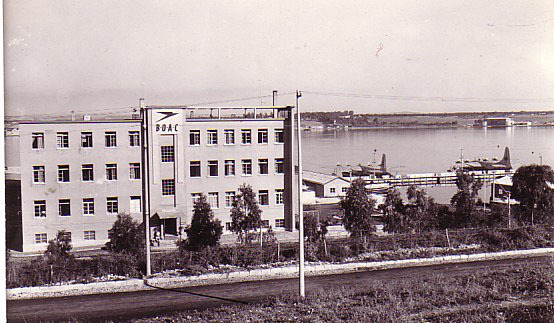 And this is the place where the postcard, showing an ALI DC 2, was produced. 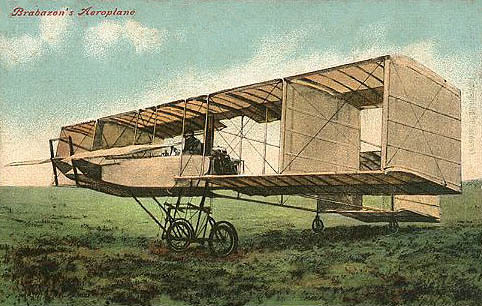 Turin’s aviation roots go back to 1910, when the local sporting association organized an aviation week. In the following year Mirafiori site was organized as an airfield and in the ensuing years there were more air displays and competitions. Around the airfield other facilities were set up: a flying school, a volunteers wing and the very first FIAT aircraft assembly plant. When commercial aviation spread a civil terminal was erected. In WWII years the airport was heavily damaged by bombing and, in 1945, it was completely destroyed by retreating German troops. It was never rebuilt as Fiat needed additional space to enlarge one of its car factories. ALI-Aviolinee Italiane was incorporated on November 13, 1926 as a fully-owned subsidiary of Fiat. It became operational on May 1, 1928, when it launched a Milan-Trento-Munich route. It was followed by a Milan-Rome link on October, 9 of that same year. At that time ALI used the Fokker VII. In the following years Fiat models entered service. So, we may suspect that the sole DC 2 was bought just because Fiat was anxious to discover the secrets of one of the first all-metal airliners. The carrier developed and, because its links with powerful Fiat enterprise, it was the only exception to survive the state-sponsored merger which gave birth to Ala Littoria, in 1933. When Italy entered WWII (June 10, 1940) all civil flying was suspended. The carrier was re-activated in 1946 and started flying again on April 16, 1947. ALI's DC 2, was a model 115B and it was the 5th (c/n 1319) manufactured by Fokker under Douglas licence. Duly registered PH-AKF, it was delivered on December 26, 1934 and then painted PH-FOK. I-EROS registration was applied on April 25, 1935. The twin Douglas was used up to the day it was taken over by Italian Air Force which gave it MM60436 serial on June 14, 1940. It served with various air staff units. When Italy surrendered to Allied Armies, it disappeared: possibly having being seized by German forces in September, 1943. The postcard is b&w and shows the plane on the apron of Turin/Mirafiori airport; the small but relatively modern terminal is clearly visible in background. The publisher is Massimo Borio and the card was apparently printed by "SRM" with 21298 numerical code. 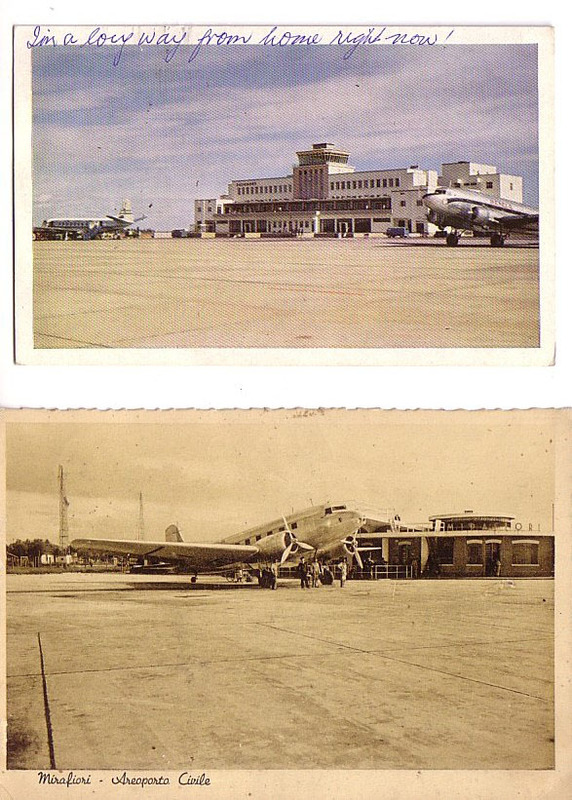 2 - The second card showing Salisbury airport (today's Harare, in Zimbabwe) was, apparently, printed by H. & S and distributed by Atelier. On the apron is a DC 3 with "Wenela" titles and a CAA Viscount. The terminal is clearly visible in background. WENELA was not a normal air carrier. In fact it was the shortened name of WNLA-Witswatersrand Native Labour Association Ltd. (later known as Mine Labour Organization), a concern involved in recruiting native Africans for South African goldfields. Starting in the '50s, aircraft were used to airlift workers from various gathering points in South Africa and Rhodesia (today's Zambia and Zimbabwe). 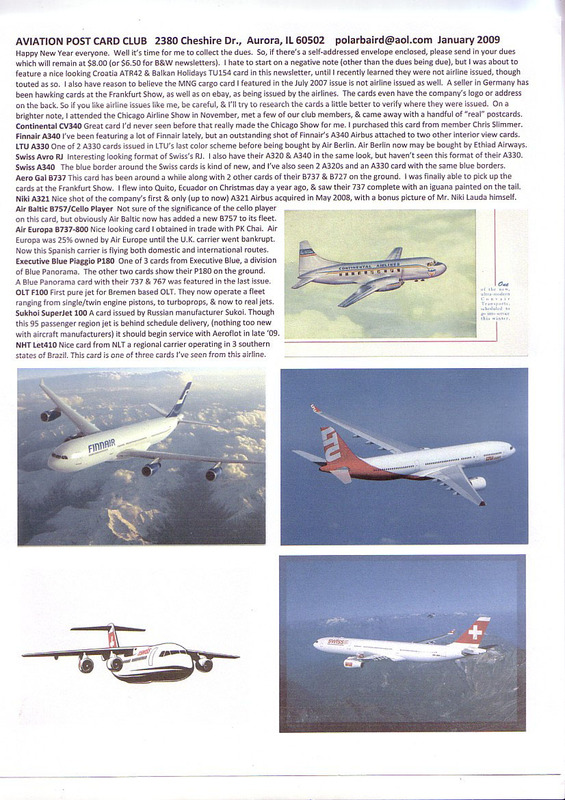 The fleet was supplied by Africair, a S.A. charter airline: at the beginning DC 3s, later DC 4s. Planes involved carried "WENELA" titles. Such operations were halted in 1977, at the same time Africair was disbanded. The summer of 1909 gave rise to a number of significant centenaries. First , on 2 May, J T C Moore Brabazon made the first official aeroplane flight in the UK, in a Voisin at Leysdown, Isle cof Sheppey, Kent. Later in the year, on Oct 30 , also on the isle of |Sheppey, he made the first circular flight of 1 mile by a British aviator. This was in a Short-Wright biplane and won him a £1000 Daily mail prize. In November, for publicity purposes, he carried a pig in a waste paper basket fixed to a strut – “pigs CAN fly “. Brabazon served in the RFC in WW1 and worked on the development of aerial photography. He then entered politics as MP initially for Chatham and later Wallasey and was Minister of Aircraft Production in WW2. This led to him chairing the Brabazon committee on post war civil aircraft and applying his name to most ambitious of such, the 8 engined Bristol Brabazon airliner project. He died in 1964, aged 80 – up to age 70 he remained active in winter sports including the Cresta toboggan run. The other significant events for 1909 are:- July, Bleriot Channel Flight ; August Rheims Aviation Meeting : October Doncaster and Blackpool Aviation meetings: December First flight of British designed aeroplane Avro Triplane.